Semi-automatic AR-15’s are for sale. NEW ZEALAND: New Zealand will crack down on firearms ownership this week after the Christchurch mosques massacre that claimed 50 lives -- and the Kiwi gun lobby, for the most part, is okay with that. “Such weapons of war have no place in our business -- or our country,” chief executive Darren Jacobs said. Both are former British colonies that fought bitter wars against indigenous populations and forged an individualistic frontier mentality. However, statistics highlight the difference. The New Zealand government believes there are 13,500 MSSAs in the country, while estimates put the number in the US at 15 million. 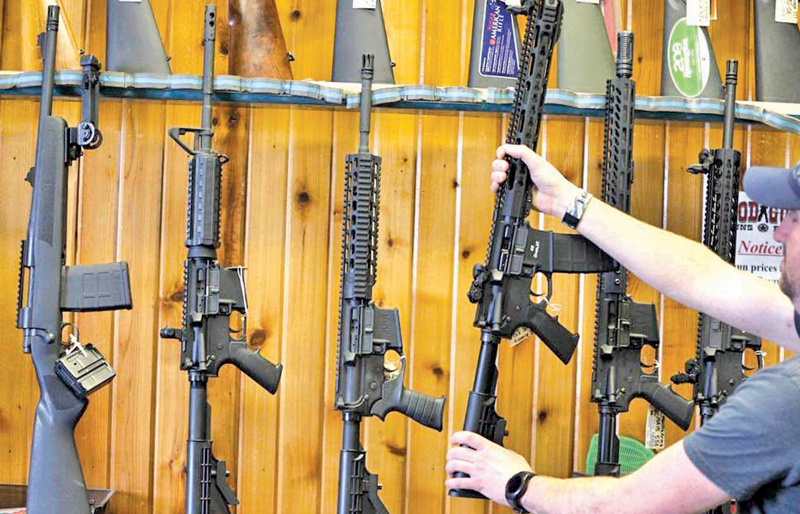 Philip Alperts, a gun policy researcher at the University of Sydney, said the crucial difference between New Zealand and the United States was the US Constitution’s Second Amendment, which guarantees the right to keep and bear arms. “We have a population who, when they travelled to America would get off the plane and be absolutely horrified to see people walking around with a gun,” he said, adding that safety was at the centre of New Zealand gun culture. Journalist Dawn Picken covered scores of shooting deaths in the United States and once had bullets lodged in her bedroom when a random gunman opened fire on her apartment building in Spokane, Washington state. She said she had found a different mindset since moving to New Zealand in 2011.